‘In Context,’ is an ongoing programme of exhibitions, lectures, and artistic interventions in Johannesburg, we speak to Hank Willis Thomas about relevancy of the exhibition, within the context of the newfound international interest in African art. As well as get his opinion on the differences between race identity in South Africa versus the United States, and his transition from artist to curator. 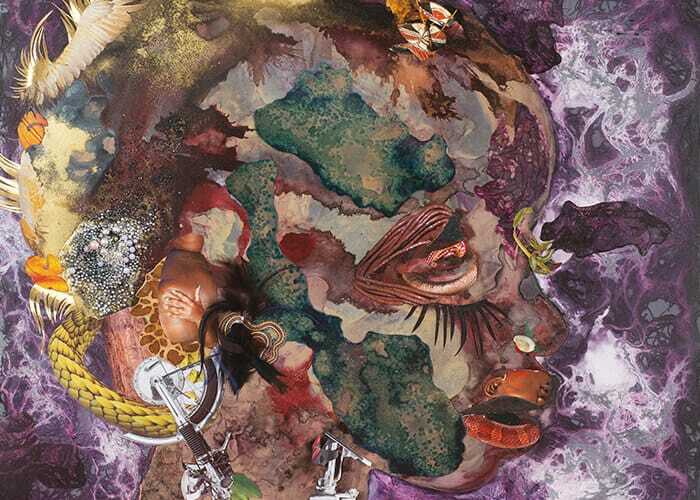 Wangechi Mutu, I’m too misty, 2015. Collage painting on linoleum, 101.6 x 83.9 cm. Photo: Bill Orcutt, NYC. image courtesy of the artist. ART AFRICA: Why do you think the exhibition ‘In Context: Africans in America’ is relevant to South Africa now, within the context of a seemingly newfound international interest in African art? Hank Willis Thomas: I think it’s always been a cycle; the art world moved into modernity because of its fascination with African art and at the beginning of the 21st century, there’s a new fascination with African art. I think often Western society looks to Africa and South America and/or indigenous populations for a way forward. So I think the fascination is nothing new. I think South Africa, because of its history and its history of pioneerism and frontierism, is very much related to the history of the US and Western expansion. Much like the United States, South Africa sees itself as the prodigal country or the “exceptional” country on the continent – and I think that’s an issue that artists and people working in these countries have to contend with and be hyper aware of. You joined the Goodman Gallery in 2008. What appealed to you as an artist about exhibiting in South Africa? Liza [Essers] initially asked me to show my work here and I think because so much of it deals with issues of identity, especially racial identity, I thought it would be interesting and exciting to exhibit in a kind of parallel universe or dimension to the United States. Although the issues are different here, there is some kind of correlation. I met Liza at the Armory Show in New York, through a curator, Chika Okeke-Agulu. They saw my show, which was up in New York, and it developed from there. Dawit L. Petros, Single Cube Formation No. 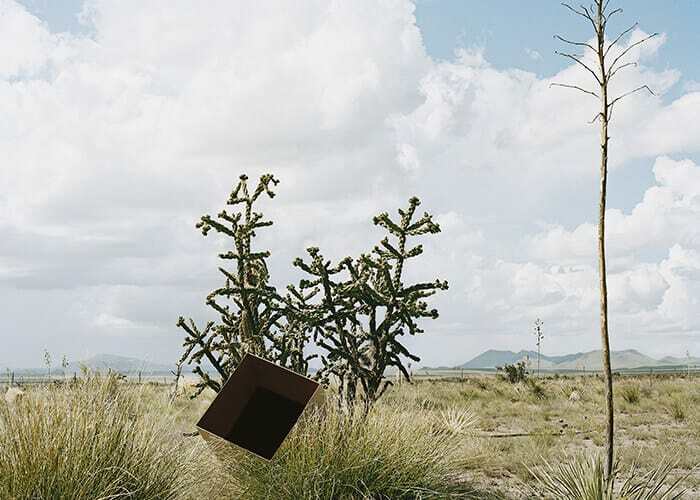 3 Marfa, TX, 2011. Archival digital Print, 76.2 x 91.4 cm. Image Courtesy of Goodman Gallery. You are known for exploring constructions of race, as well as mythologies created to justify the agendas of those in power. What mythologies are you looking at in particular? Do they primarily stem from the history of the United States and the legacy of African Americans? The over-arching myth that I think my work deals with is the myth of race. My own personal epiphany actually came when I was here in South Africa in 2003. It was at the District Six Museum, where there was a presentation by two “coloured” people. The one was “black,” or African and European, and the other one was European and Indian – and they were speaking about themselves as the coloured race. In the United States if you know anyone in your family who was of African descent, you’re ‘black’ – ‘coloured’ and ‘black’ are the same. I realised how these categorisations of racial identity are slippery. If it’s so empirical, why are there these shifting boundaries, not only over time but also geographically at the current moment? Why can’t we all just agree that this is what ‘black’ is and this is what ‘white’ is? To that degree, I think it is universal. When I think about ‘blackness’ more specifically, the thing that I think is most striking about it is the whole construction of ‘black’ identity – that ‘black’ people had virtually nothing to do with it. ‘Blackness’ was created by Europeans with a commercial interest in dehumanisation. They created a separate brand of human beings so that one could be used in a different way. We have been charged with trying to, in the past few decades, take this terminology that we didn’t create – and doesn’t define our complexion – and make it our own, redefine it. It’s starting with a myth and trying to make it real. And my work is really about trying to expose and explore that. Valerie Piraino, Niger Delta Blues II, 2016. 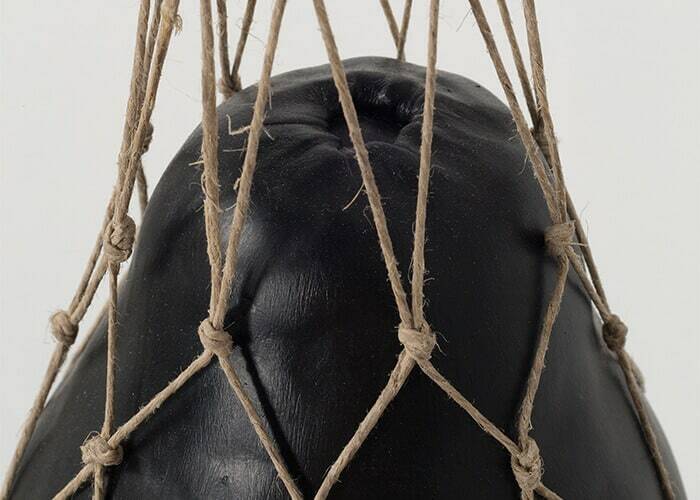 Polystyrene, epoxy clay, paint, twine, 73.6 x 11.4 x 11.4 cm. Photo Pierre Le Hors. Image Courtesy of Goodman Gallery. I’ve talked about myself as a visual culture archaeologist, who finds ephemera in images from previous decades and eras, and displays them in the context of art, which allows the viewers to enter them through a different lens. Africa America: A Place to Call Home is a sculpture I created with the intention of making a space to discuss the unique intersection of geographical, historical, political, economic, and cultural occurrences that are evoked when the term ‘African American’ is used. The exhibition ‘Africans in America’ is a further attempt to situate a conceptual space for creative expression that has emerged primarily in the past two decades. This exhibition is inspired by two exhibitions I was featured in, ‘30 Americans’ at the Rubell Family Collection in Miami, FL and ‘The Global Africa Project’ at the Museum of Art and Design in New York. In part, ‘The Global Africa Project’ was organised around the “phenomenon of intersecting cultures and cultural fusion.” Curator Lowery Stokes Sims spoke about Africa more as a global sensibility than as a geographic location. Both exhibitions were aimed at confronting traditional ideas of art, cultural identity, and geography in the 21st century. Similarly, ‘Africans in America’ is not as much about an ethnic heritage or a geographic location as it is about the places we take with us when we go anywhere. These conversations about the African diaspora and cultural intersections often take place on other continents; it is time they come back home.